photographers. For those of you who have a DSLR camera, you have probably noticed that one of the tools you have on your camera is the ”HISTOGRAM” on your camera’s menu. Why would the manufacture put that in there is it wasn’t there to help you out. I looked at that on my camera when I got that too, and decided I would learn about that some day as well. Well today is that day. And some of you professional photographers have already learned the importance of this tool. And are chuckling that I haven’t put this in my blog sooner. Well, “Fear not” the time has come. And for those of you who have a new DSLR and have wondered about it, and have not ventured into the menu this far, or have even used it, here we go, let’s learn a bit about this great tool, the manufactures have put in our cameras amazing electronic system. First of all, by definition, what is a HISTOGRAM? A histogram is a graphical representation of the distribution of numerical data. It is an estimate of the probability distribution of a continuous variable (quantitative variable) and was first introduced by Karl Pearson. Histograms are a very useful tool that many cameras offer their users to help them get a quick summary of the tonal range present in any given image. It graphs the tones in your image from black (on the left) to white (on the right). The higher the graph at any given point the more pixels of that tone that are present in an image. So a histogram with lots of dark pixels will be skewed to the left and one with lots of lighter tones will be skewed to the right. The beauty of a histogram is that the small LCD display on your camera is not really big enough to give you an great review of a picture and you can often get home to find that you’ve over or under exposed an image. Checking the histogram can tell you this while you’re in a position to be able to adjust your settings and take another shot. The above shot has a lot of light tones – in fact there are parts of the shot that are quite blown out. As a result on the right hand side of the histogram you can see a sudden rise. While there are quite a few mid tones – everything is skewed right and with the extreme values on the right hand side indicate an over exposed shot. So, now that you have seen examples of two histograms, the question can come up: Is there a perfect histogram? I think professionals that use histograms regularly, don’t really think that there is such a thing as a perfect histogram, they all just tell you different things. So, you do have to learn to read that a histogram tells you things that may be exactly what you want to see anyway, or it may tell you that you do need to correct it while you are there. That is the beauty of a histogram. I have gone taking pictures, and when I got back home, all of my photos just seemed too bright. Rather than fixing them on my computer, if I had used the histogram, I could have fixed everything there while I was shooting. 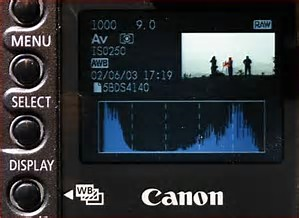 So now you know what a histogram is – grab your digital camera’s manual and work out how to switch it on in playback mode. 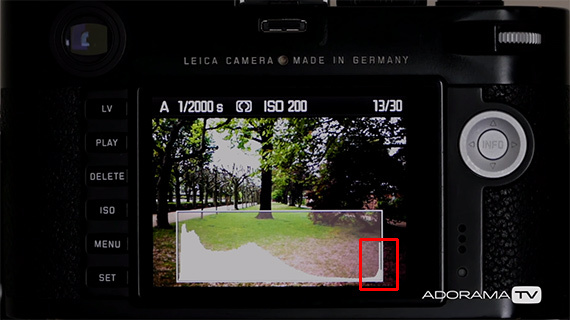 This will enable you to see both the picture and the histogram when reviewing shots after taking them. Keep an eye out for histograms with dramatic spikes to the extreme ends of either side of the spectrum. This indicates that you have a lot of pixels that are either pure black or pure white. While this might be what you’re after remember that those sections of the image probably have very little detail – this is a hint that your image could be either over or under exposed. The histogram is really just a tool to give you more information about an image and to help you get the effect that you want. Having your camera set to show you histograms during the view process will tell you how your image is exposed. Learning to read them will help you to work out whether you’re exposing a shot as you had hoped. The histogram also helps us in getting a better dynamic range in our photos. 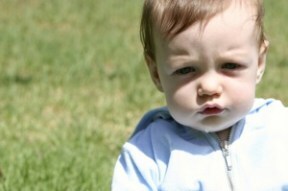 Dynamic range denotes how much of the entire range from the brightest bright to the darkest dark our camera can capture. Anything that is too bright or too dark would fall in that zone of no detail (extreme left and extreme right of the histogram). The histogram can tell us if there is anything in the frame that falls in those areas. Like in this image. The red bordered area shows the spike or the presence of extremely bright areas in the image. These are areas that are overexposed and are likely to have no detail. When you know that information you can take corrective measures: shoot at a different time of day or shoot in HDR mode, and so on. Simply put, the histogram functions as a means of visually representing the data each pixel of an image contains. It’s a means of quantifying an image and sharing readable information. However, that explanation doesn’t fully describe the purpose or utility of the histogram. The following frequently asked questions provide answers that will better help artists understand just how the math and science behind the histogram correlates to making accurate predictions concerning the contents of an image. The term dynamic range (in the context of photography) refers to the scope of being able to perceive darks and lights in a single scene. The human eye has an incredibly high dynamic range; we can see very dark shadows and bright highlights all at the same time. However, a camera has a much more limited dynamic range in comparison. The technology is limited, meaning that often times photographers are forced to choose whether they’re going to shoot to expose the brightest parts of a picture or the darkest. Although there are no numbers or words that label the axis of the histogram, it’s a fairly straight forward graph to read and comprehend. The graph itself is a representation of an image file’s dynamic range, with pure black lying all the way to the left and pure white on the right. The peaks of a well exposed image will primarily lie in the center of the graph. The more disperse the graph, the higher the overall tonal range of an image. If you find that the histogram is tapering off to one side or the other, it signifies that information is being lost in either the highlights or the shadows of the image. Although there is no right or wrong exposure for an image, the histogram can be an incredibly helpful tool when trying to determine the exact data an image file contains. The picture on the camera itself can be an inaccurate representation of the true image file due to variable factors internally (such as a calibration issue inside of the Live View screen) or externally (a glare from the sun preventing a clear view of the picture). Therefore, it is possible to see an image that looks completely fine in camera only to realize later on that areas are over or underexposed. Luckily, since the histogram focuses on the data itself, it’s not subject to the same optical variables that prevent us from getting a clear and accurate view of our photographs. Navigating histograms can be difficult for photographers who aren’t inclined to math or science. The quantification of a photograph often isn’t an easy concept to wrap your head around. However, taking the time to learn the ins and outs of histograms is a worthwhile endeavor for any serious photographer—it could make all the difference in perfecting your imagery in the field to be the best it can be. I HOPE THIS HAS HELPED YOU UNDERSTAND THIS TOOL YOU HAVE IN YOUR CAMERA, AND I HOPE YOU USE IT. IT CAN MEAN THE DIFFERENCE, WHILE YOU SHOOT OF WHETHER YOU HAVE TO CORRECT IT THERE, ON SITE, OR BACK AT THE COMPUTER. IT MAY BE A LOT EASIER, WHILE YOU ARE JUST THERE, TAKING THE PHOTOGRAPHS.